Seapod is a traditionally constructed Maine Peapod that I built between January and June 2008 while I was at the Boat Building Academy. 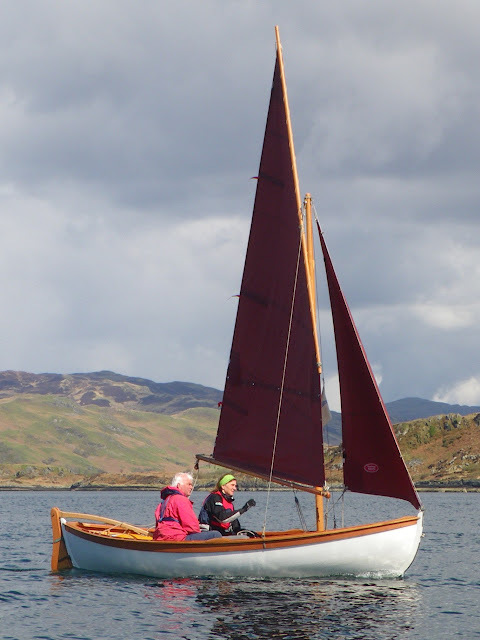 The build of this boat is documented on the blog that I wrote while at the BBA – you can read it at http://boatbuilding.wordpress.com/. 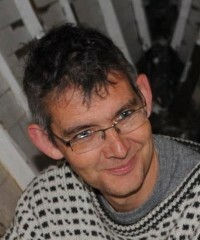 Seapod is now owned by Hugh Mackenzie and is based at North Berwick. 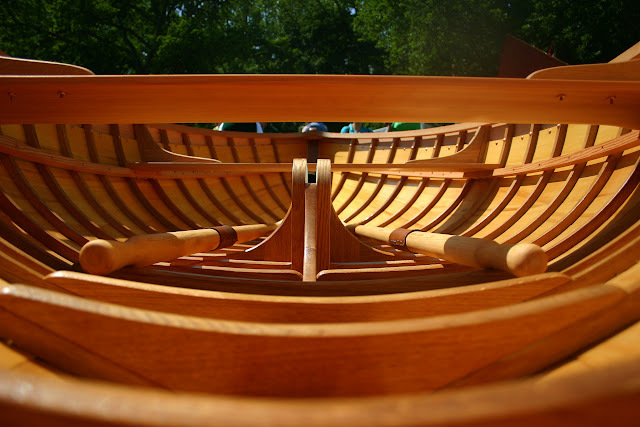 Peapods are symmetrical double ended open boats that were first used on the coast of Maine as inshore lobster boats from around 1870. A large number of distinct types of Peapod have been built and both carvel and clinker construction has been favoured at different times. Traditional Peapods are still built and used for leisure along the Maine coast. 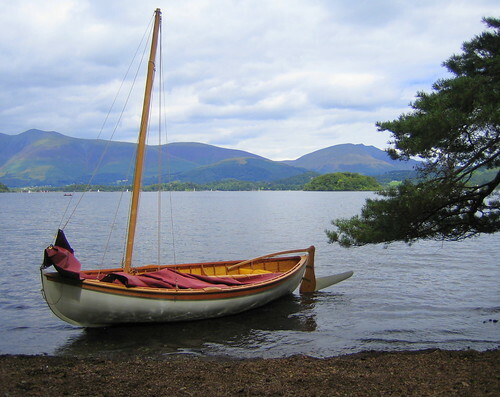 On Derwentwater during August 2008. Seapod was conceived as a sailing Peapod and she has been built to manage the loads and stresses of a stayed rig. She is of carvel construction and is planked in ½” Alaskan yellow cedar fastened to steamed white American oak timbers with silicon bronze screws. The stems and keel are laminated from Iroko. The sheer strake is of European larch and is, as was often the case with carvel Peapods, a clinker plank. In the case of Seapod, the sheer strake is fastened with copper rosehead nails. Thwarts, risers and sole boards are all in larch. 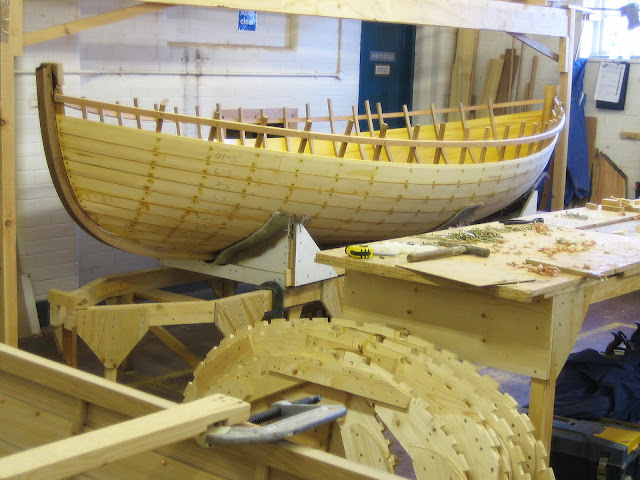 The spars are of staved construction and are made from sitka spruce. The centreboard and rudder blades are of modern design. They are built of edge glued western red cedar, re-inforced with unidirectional carbon inserts and sheathed in glass/epoxy. 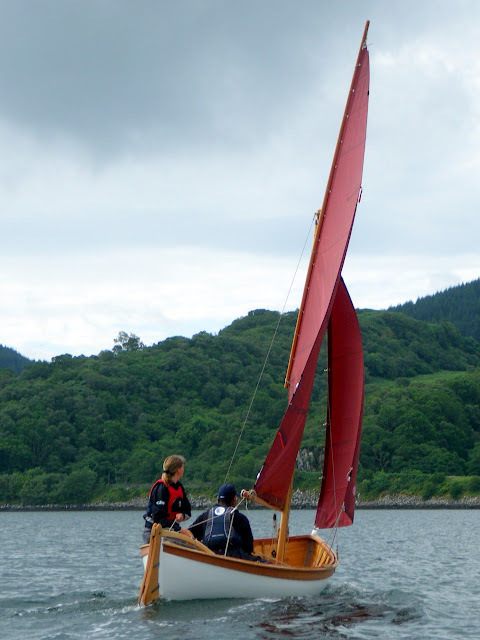 The rudder stock and cheeks are made from larch and the tiller is taken from grown ash stock. 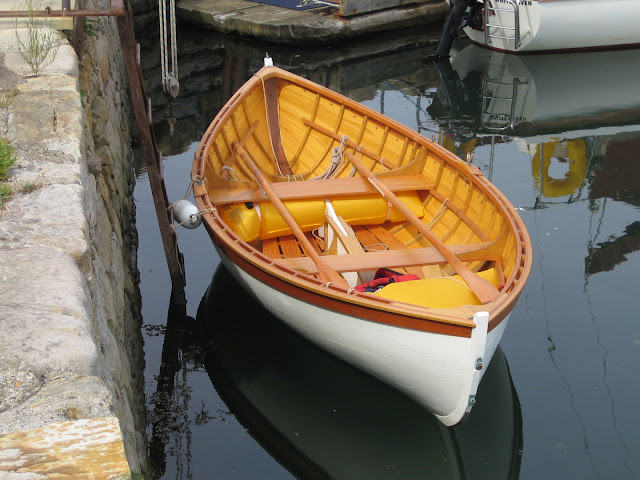 Although visually a very traditional boat Seapod makes extensive use of modern resins and coatings to reduce some of the maintenance responsibility of owning a lightly constructed carvel boat. The backbone, timbers and planks are all fully encapsulated in flexible epoxy resin to manage the moisture levels within the boat’s structure. Seams are caulked with cotton but payed with sikaflex rather than one of the more traditional proprietary paying compounds. Watertightness is, in the case of Seapod, provided by the sikaflex rather than the cotton swelling as the boat ‘takes up’. A key design goal for Seapod was that the boat will not need to ‘take up’ even after winter layup, but can be dry sailed. I’d be happy to build her, or a variant, again so contact me to discuss options and costs if you are interested.